I can immerse myself in it still, as if it was happening in the here and now rather in the then and there. My friend, Kevan, strutting across the stage in a cameo appearance in a late night show I was appeared in was it nearly five or six years ago? The show was called True Tales 2. He was wearing chaps and only chaps. It was October. He died the following Spring but on that late evening in October, we didn’t know he was sick. I laughed as he came through, but I never looked at him. Call it my puritanical roots, but I just couldn’t do it. I couldn’t lift my head to watch him. He always left right after his brief appearance so we never got to giggle about it in the moment, it was just a “here and gone” thing. Last Summer it was my melanoma diagnosis, surgery and scarring that kept me from the stage. I just wasn’t comfortable anymore and worse than the scar on my face, perhaps, was the scar on my heart. Like anything else, theatre had lost its luster for me. I didn’t think it was possible, but I had tired of it. I grieved this loss like any other: I got angry, I got sad, I got resigned, I gave up. Three weeks later I was on stage again, three weeks later, I am off stage again. I wouldn’t call myself sad per se, but I am not sure how exactly to describe what I am feeling. Perhaps it is the bubbling up of gratitude: the awareness I wanted this, I did this, I enjoyed this, I tried my best at this. Perhaps it is satisfaction of a job well done: applause and laughter from the audience, kudos from the creative team, pure delight at becoming another kooky character. I have often given lip service to one of my favorite thoughts, “You never know when it will be the last time at your stage,” perhaps remembering Kevan’s nightly prance I never truly saw. I didn’t actually know this feeling personally, though. Now I do know it. Every time I am out there I know it and remember it. It isn’t a melancholy experience, it is more the grateful, satisfied, courageous experience of doing something purely for the love and letting myself go, fully, knowing this very well may be the final bow. This reality the gift of melanoma gave me will undoubtedly be a bell whose ring I hear over and over again. I’m surprised to say I am beginning to enjoy its tone. Today – August 7, 2012 - met me in the same way a seventh grade girl, Melanie, meets her longtime crush, Joey, on the edge of the dance floor. Unsure, a bit wobbly, and slow to make a move forward, morning and I wondered at first if anything would happen or if I would pull away, refusing to believe our relationship would ever feel the same as it did when Joey and Melanie were in second grade, sitting side by side at desks in Mrs. Anderson’s classroom at Linden Avenue School. First I poured a cup of coffee. Second I gathered my notebook and pen and went outside. 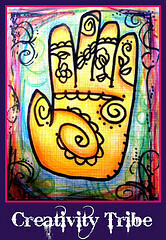 Third I drew a random soul collage card. Fourth, I made myself write. Looking at the card I wrote, “I have a history of hiding under a blanket of darkness. Divinity clothes me in white when she does my bidding. I sit in the center of paradox: the this and the that, the hovering tightrope slowly unraveling, an awkward unwinnable tug-of-war and the solid cord hung firmly and the confident collaboration, singing songs of cheer upon successful completion. I notice water droplets of water on the leaves. Sitting here, moving my pen, being a faithful companion to my writing is key to living my story. This dress on the little girl is so similar to what my Mom would have made me. I want to remember Mom meant her dresses as testaments to her love for me which she wasn’t able to translate into the language you spoke and still speak. This doesn’t minimize her love. I want to remember that earlier this Summer I learned about Wolf Lichen after mistakenly calling it “moss” after all these years. These reminders pour through my hands onto the page. Melanie holds Joey with just the right closeness as their slow dance comes to its conclusion. She can feel his breath against her neck, his hands respectfully above her waist. She is both naïve and knowing. She is a paradox who is a human truth in the making. As am I and As are You. What would happen if you changed your perspective in that current blog post you are writing? You know, what if instead of speaking in the first person, you let your first person become Marilou or Martin. Who is saying your first person voice is the best voice for this blog post? Why couldn’t the YOU be the storyteller behind the story. Sometimes I feel stuck when I write constantly from the same place. My writing becomes fortress like. I am in a tower that appears, to most people, to only have one window which is sandwiched between concrete so I cannot see anything else. Perspective is a fiction in this case, isn’t it? Well, what if we made the tower into your first person (or my first person) writing. The tower I am in – my writing - seems as if there is no way to get out, either. I discover by opening my vision a tiny bit wider I need to get on my belly, to look differently, to seek perspective that is neither obvious or my first choice. I only believed I had a small window. That’s true as long as I stay standing up. If I am willing to get down on my belly, I can look out to see any perspective I want to see and write the story from whichever direction I choose. From these openings in the floor, I see green vines with pregnant looking berries. From this opening I can see the boat and all the workman, starting their day with singing and intense work. They look so happy. From this opening in the floor I can hear the fluttering, very faint, of wings. I need to listen carefully. Sometimes she feels stuck when she works constantly from the same place. Her work literally becomes a fortress. She is stuck in in a tower that appears, to most people, to only have one window which is sandwiched between concrete so she can only see out in one direction. I stay silent, urging her to tell me more without giving her a simplified how-to. She steps back into the door of the turret. She surveys from the ceiling… to the floor. Without words, she discovers by opening her vision a tiny bit wider she sees the answer comes in getting down on her belly and looking out from the floor. She looks first at one floor level window. "Ohhhh, yes. There it is... I see... oh my gosh, I wouldn't have thought of that!" Now she is finally able to look differently, to seek perspective that is neither obvious nor her first choice. You've read this mini-change-in-perspective. What value do you see in doing this exercise for your own writing or in your own business or life work? 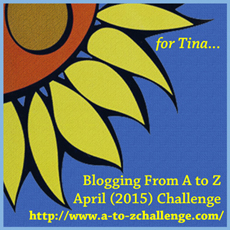 This is my Ultimate Blog Challenge Writing for the Day. 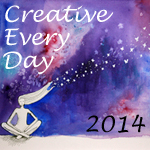 Be watching for my challenge posts which will include Writing Prompts, Writing Tips and General Life Tips and Essays. This is Blog 12/31 for July! 10 "Lucky" Quotes to Inspire Your Blogging as Well as Your Life. I started to only feature women's quotes but then decided I didn't want to be exclusive so I added some quotes from men as well. Normally quote compilations are roughly 80% or more male, so here we are 70% female, 30% male. So, thanks to another participant in the Ultimate Blog Challenge and one of my partners-in-blogging I have never been in touch with until today, Jacqueline Garwood (find her on twitter here) , wrote this blog post about... luck and power. “That is life, isn’t it? Fate. Luck. Chance. A long series of what-if’s that lead from one moment to the next, time never pausing for you to catch your breath, to make sense of the cards that have been handed to you. And all you can do is play your cards and hope for the best, because in the end, it all comes back to those three basics. Here's what you can do besides just read this and forget it in five minutes. Take the quotes which speak to you the most and open a blank document. Make it into a writing prompt for a future blog post, essay, poem, or email to a friend. Use what you've discovered here and you may just become more lucky as a consequence. Happy Blogging & Word-love to you! This Summer I asked for mothering advice from two famous Hollywood Mothers. Well, I didn’t ask them mothering advice exactly the way you might think. These are not, after all, living Hollywood Mothers. They are legendary Hollywood mothers who are no longer alive. I took time beside them at monuments in their honor: Donna Reed, the first mother, at her graveside in Westwood and then Joan Crawford, at her Hollywood Walk of Fame star. Donna Reed’s show was one of my childhood favorites. It was in reruns by the time I watched it. I loved her swishy dresses and pretty face. She reminded me slightly of my own mother, except for the wardrobe. I got older and fell in love with Mary on “It’s a Wonderful Life” via its annual showings during the holiday season. She seems like someone everywoman would want to chat with about motherhood, about being a woman, and then after the layers of fiction were released, I would want to know about what compelled her as an artist. I might even ask her now, post life, about what she misses about being alive. Perhaps this is something that compels me as a writer: wanting to know about death and after death. Wanting to know at the end of one’s life as an artist what sifts out as significant. What seemingly small work became what one remembers the most and what “big” project turned meaningless and why – how- where – what was up with that as it happened? Now Joan Crawford is a completely different mothering story. I wouldn’t even think of asking her mothering advice but something in my gut brought those words to my lips as I cuddled up next to her star on the Hollywood Walk of Fame last Sunday night. She has become a mothering joke from the “Mommy, Dearest” book and film. “Wire hangers” are legendary because of her disgust for them as they played host to expensive clothing she didn’t feel her daughter, Christina, valued as she should with a more voluptuous, fabric covered hanger. I wonder how her thoughts would change if she could speak after death. While she was living she said, "Love is a fire. But whether it is going to warm your hearth or burn down your house, you can never tell." What would happen once her anger and fear went away? What would Joan’s life as a mother been like if another mother – another woman – had reached out to her with that sort of compassionate, loving energy of “no enemies here, simply mothers caring about other mothers”? What would happen once her anger went away? What got in the way of her freedom from anger? What can we, as mothers and as women, learn from how she held more tightly to anger and rage than to the love she must have felt underneath all that excess emotional warfare she fought every day. Do you know anyone whose anger and fear tear awayen any love in a poisonous fire of contempt that kills any hope of joy they may have within them? What would happen if your anger went away? What would happen if you let go of anger and replaced it with something less destructive? What is getting in the way of your freedom from anger? Donna Reed might tell Joan Crawford, “When you handle yourself, use your head; when you handle others, use your heart." When you handle your children, use your head, your heart and your arms for hugging. So that is what I have done: conversed with the not yet visible you about being scared and turning out... somehow... better for the experience. It would have been easier to write about my fear of the dark. That would have been the cowards way out, and if there is one lesson I have learned from living through my fear, it is the cowards way out may look easier in the beginning, but when all is said and done, standing tall and shaking hands with my fear is the best way to survive it. There is power in sitting down for coffee with my fear, letting her have her say and share a bit of wisdom with me. Sure, it is easier to ignore it and to confess to an “easy” fear like my still-there-from-childhood-fear-of-the-dark. I have been pondering this post for a long time primarily because I have resolved possibly the most important fears I could have ever had simply because… I experienced them. I lived through them. I came out the other side wiser, tougher yet more willing to be vulnerable simply because I know the strength of fragility. I would guess this makes little sense without context. My first big fear was realized when my eldest child – my first baby – was stillborn. It never entered my mind such a thing could happen, especially to me, but after dealing with infertility and being “so good!” during my pregnancy, how could this happen? It did. It was a fluke (a cord accident) and I lived through the experience, through the grief, through the nearly two years before I had my next baby and now, with each milestone that would have been I am reminded, again. Marlena’s younger sister, Katherine, is working this Summer in the Navajo Nation & will be doing her junior year abroad in Edinburgh in September. I have no living memories with Marlena. And the fear of losing one of my others is actually minimized because I do have memories with them. When I was a child, I lived with the chronic fear of being institutionalized. I come from a family with six children and the brother right below me – only 14 months younger, had Down’s Syndrome. In our family, we pretended he was just like the rest of us and rarely talked about the fact he was different which meant I had to deal with a lot of staring and glares and discomfort when I was out with him which as a preschooler was constantly. People say stupid things in front of small children. The question came up a lot at the coffee clatches my Mom attended: “When are you going to send John away? My friend’s friend has her child at “Name this institution” and it has been such a blessing” or some version of that. Imagine a young child whose entire life revolved around protecting and being with her little brother who she considered to be absolutely normal: what do you think she thought? I thought I would be sent away with him and the best way to keep us both safe was by being the best little girl (and the best little caretaker) as possible. I never knew when the people from an institution would knock on the door and remove us, unceremoniously. This Fall I had another huge fear realized. I don’t talk about it much because it is still too close, but my children were out of my custody for four of the longest days of my life. Thank God for close friends who supported and loved me through those days and celebrated with us when the children came home to me. The scars from those four days will last a lifetime for me, I am sure. Interesting, isn’t it, how my children lived out my biggest childhood fear? I never put two-and-two together before this exact moment. It would have been easier to write about my fear of the dark. It would have been an honest confession, but it wouldn’t have been filled with truth, like this post has been. If you would like to converse with me one-on-one about any of this, please send me an email: juliejordanscott at gmail dot com. If you would rather read me more before you take that scary leap into uncomfortable conversation, just follow me here or on twitter or like me on facebook. When you feel more comfortable, drop me a note. I would love to hear from you. My kids sometimes use the phrase, “Oh, she thinks she is ALL THAT!” which usually means the person in question thinks she is better than the reality. I have the other problem: I have a difficult time valuing what I do without effort. It is as if I am of the belief things must be hard in order to be valuable. I’ve been working really hard to build up my business again – my Creativity Coaching and Writing Camps – so I am doing my best to connect with new people. I’ve built my business online before, but the internet changes so fast, I feel miles behind. This weekend I am participating in a fantastic Blogathon. It happened to fall on a super busy weekend and I haven’t been able to do as much as I would like. Naturally. And I HAVE gotten more accomplished than many would have! I thought of all the talented crafty women out there in the blogosphere and sulked a bit, because even though technically I had done some art and done some writing and done some craft and done some business-building and did a heckuva lotta Mommying, I didn’t think I had anything to say. Then I started thinking more objectively. It must have been that little Angel standing on my shoulder. This appears to be the magic key: thinking objectively rather than from that space of inner critic or chronic comparer. Celebrate who you are, naturally, and what you do will fall into place. I taught Writing Camp Goes to College! Only it is a big deal. Some people could never think of standing in front of college students as an expert in anything. I do it easily. 2. Did I mention I was in a play at the Empty Space Theater this weekend? This past week was tech week (stress!) and then opening weekend. Not only did I survive, I continued to grow my character and received kudos galore. I gave my all in my scene and then some. I have the bruises and blisters to prove it. 3. I participated in the Blogathon – created 3 new posts (5 Ways to Enjoy Solitude, Passionately; 5 Best Ways to Be Sure to Write Every Day and Enjoy the Heck Out of It! 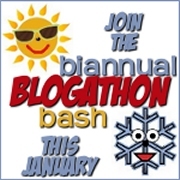 ; and my initial: 5 Best Reasons to Join the Blogathon Bash Even if You are Ridiculously Busy. I joined BloggyMoms, discovered Tweriod, participated as much as I could in the twitterparties, started a couple other challenges which I will still finish and perhaps, there is time left, I can still write another “5 Best” post. I made notes in the dressing room (Blogathon2 from backstage!) so perhaps… you just never know. AND… as a bonus – I took my daughter and her friend to the Norton Simon Museum for a tour with a woman who is going to be an AWESOME contact for me. AND I painted and planted another one of my golden pothos I grew from scratch. I realize now I could go on and on with the ANDS but… I’ll control myself. 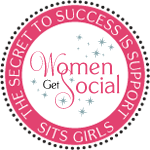 I look forward to getting to know each and all of you from Mom Mingle better. I appreciate the visit and hope to catch up on your blogs, on facebook and on twitter, too. Summer Blog Challenge: --Share a post you've written in the past that you like.I rediscovered this blog post by going back 14 pages of lists of posts and happening upon these words. Still so relevant and at the front of my mind all the time, a blog post about Sara Teasdale, listening to your wisdom, and how to continue moving when you just don't feel like it! Home: a Woman's Sphere Post Still highly relevant today.